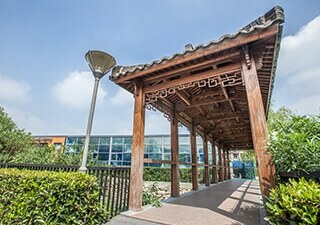 Three entrepreneurs in education from China and Taiwan decided to open a school in Shanghai in 2003 and so The Western International School of Shanghai (WISS) was born. 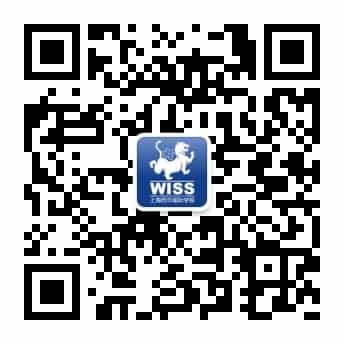 WISS was granted approval by the Ministry of Education in Beijing in 2004 and opened its doors on September 6, 2006, founded by the then Director, Alfonso Orsini as an all-IB environment. The school campus is spread across a 16 acre site which has been designed by Weimar Architects of the Bauhaus University in Weimar, Germany. The Board of Directors established the Academic Advisory Board, comprised of highly esteemed international educational experts. The Board, with input from the Advisory Board and the school’s administration, was responsible for establishing the overall policy and objectives of the school and for insuring that an excellent education is provided to students. The school was first and foremost authorized for the IB Diploma Programme in 2010, the Primary Years Programme in 2010 and then the Middle Years Programme in 2012. The Director is responsible for the operation of the school, and is an ex-officio member of the School Board. The school owners form the voting membership of the School Board and decide broad policy, but are not involved in day to day school operations. Jian Jing Hong is a leading member of the business community in Shanghai, with interests in construction, development, as well as education. A former lecturer in mathematics, Mr. Jian is involved in a number of international schools and is very passionate about 21st century education. Tim Guo is a Taiwanese American businessman and school leader, with interests around the world. Mr. Guo is on the Board of numerous international schools and spends much of his time planning new educational development. The George Guo Building is named in honour of Mr. Guo’s father. Zhang Lu lives in the US where she is involved in many different enterprises which are close to her heart. When she visits WISS, she is always delighted to see the progress of the school she helped to found. Ms. Zhang has had a notable career in a number of different areas, including on Television in Taiwan. Greg Brunton is the Director of WISS and his details can be found on this site under the Leadership Team staff profiles. If you would like to contact the School Board, please write to WISS care of the Office of The Director, or email the Assistant to the Director Vigi Gan at vgan@wiss.cn. Professor Davis is a leading academic and one of the most respected Chinese Americans in the US. 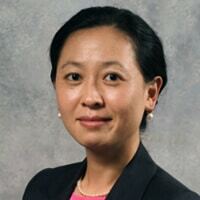 She has served as the Vice President of Drexel University, Vice Dean and founder of the Graduate School of Education for the University of Pennsylvania, and is currently Special Advisor to the President of the Teachers College, Columbia University, Special Advisor to President of the University of Pennsylvania, and Senior Advisor to the Shanghai Government. 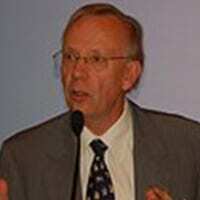 Professor Davis is one of the most renowned scholars on East-West relations and philosophy relating to education, founding the Eight Nations Education Research Project to cooperate on educational policy and chairing education roundtables with leading professors and ministers from the US, China, France, New Zealand and Thailand. For her work in the field of education, Professor Davis has received numerous awards including the President’s Award for Excellence in Leadership from Drexel University, the first University of Pennsylvania Alumni Pioneers Award, and the Award for Outstanding Contribution to Education, by the government of Thailand. Paul Kelly is a renowned business and finance leader. Currently he is President and Chief Executive Officer of Knox & Co. investment banking, former Chairman of the Huntsman Program in International Studies & Business at the University of Pennsylvania, President and Chief Executive Officer of PH II investments, Executive Director of the Westgate Group which specializes in international strategic consulting services to governments and corporations, and a Senior Advisor to the Shanghai Government on international relations, business, and education. Mr. Kelly is also a member of the Board of Trustees of the University of Pennsylvania, a member of the Director’s Advisory Board of the Yale Cancer Center, a member of the Visionary Council of MIT Collaborative Initiatives, Co-Chairman of the US-China Future Leaders Program, he is an active supporter of the University of Auckland and its Business School, is a member of the New Zealand Business Roundtable, and is listed in Who’s Who in America, and the World. 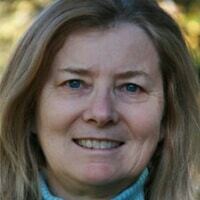 Dr. Maynard is an expert in the design and implementation of research in education and social policy. The former Senior Vice President at Mathematica Policy Research and the former Commissioner of the National Center for Education Evaluation and Regional Assistance at the Institute of Education Sciences, Dr. Maynard is currently University Trustee Chair Professor of Education and Social Policy at the University of Pennsylvania. She is a Fellow of the American Education Research Association, President of the Society for Research on Educational Effectiveness, former President of the Association for Public Policy Analysis and Management, recipient of the Peter H. Rossi Award for Contributions to the Theory and Practice of Program Evaluation, co-recipient of the Society of Prevention Research Public Service Award, and recipient of the Best Book Award, Society for Research on Adolescents. Professor Jones is a leading New Zealand academic and former Dean of Education and Director of both the Wilf Malcolm Institute of Educational Research and the Centre for Science and Technology Education Research at the University of Waikato. 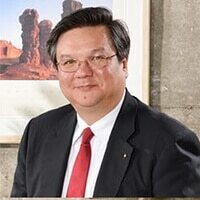 He is currently the Deputy Vice-Chancellor of the University of Waikato and holds visiting professorships at Kings College London, Kasetsart University and the Institute of Education Hong Kong. 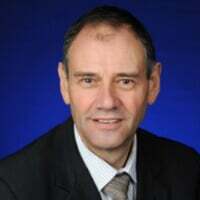 Professor Jones is also a Director of Cognition Education, Managing Director of the Australasian Science Education Research Association, Director of the New Zealand Science Learning Hub, and co-chairs an APEC working group on science and mathematics education. Dr. Lu is a Professor of Biomedical Engineering and the Director of the Biomaterials and Interface Tissue Engineering Laboratory at Columbia University. Her innovative research in regenerative medicine has been recognized with many awards, including the Career Award in Translational Research from the Wallace H. Coulter Foundation, and the Young Investigator Award from the Society for Biomaterials. Professor Lu was honored with the Presidential Early Career Award for Scientists and Engineers at the White House in 2010, and was elected as a Fellow of the American Institute for Medical and Biological Engineering in 2011. Her research is supported by the Whitaker Foundation, the Wallace H. Coulter Foundation, the New York State Stem Cell Initiative, the National Football League Charities and the National Institutes of Health. Professor Lu also has extensive experience with admissions and student outreach programs at both undergraduate and graduate levels. Professor Hartmann is a German educationalist, Emeritus Professor of Comparative and International Education at the University of Hamburg, and President of the General Synod of the United Evangelical Lutheran Church of Germany (VELKD). He is a former Director of the Institute of Language Teaching and the Institute for Comparative Education at the University of Hamburg, and was the university’s Vice President for seven years. Nine years he was the vice-chair of the governing board and the executive committee of the UNESCO-Institute of Education. Professor Hartmann represents the University of Hamburg in the European University Foundation in Luxembourg and holds visiting professorships in Riga, Kaunas and Luxembourg. Thomas Jin Park is an international business leader, educator, and humanitarian. Mr. Park is the Managing Director of the Duksung School Foundation, a Board Member of the Gyeonggi Suwon International School, the Cheonan High School Foundation, formerly a Board Member at Taejon Christian International School and the Kaywon School Foundation. He was appointed as the Executive Director of the Guus Hiddink Football Foundation, an organization dedicated to providing children with physical or mental disabilities a chance to play soccer. Mr. Park is a member of the Swedish Chamber of Commerce in Korea, the Arumjigi Culture Keepers, the Yeol Korean Heritage Preservation Society, and the National Trust of Korea. Dr. Murphy is one of the most accomplished professors at Harvard and has written extensively on the politics of education over the last five decades. 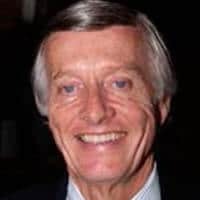 The former Dean of the Harvard Graduate School of Education, Dr. Murphy is currently the Harold Howe II Professor of Education and serves as a member of the National Advisory Council on the Education of Disadvantaged Children. Dr. John DeFlaminis is Executive Director of the Penn Center for Educational Leadership. As Superintendent of the Radnor Township School System, one of the best performing systems in the United States, Dr. DeFlaminis developed standards-based systems with international benchmarks. 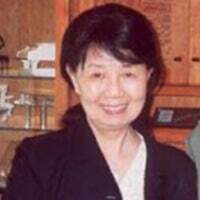 Dr. Cheng Davis was the first visiting scholar from China to the University of Pennsylvania’s Graduate School of Education (GSE). Currently she is Vice Dean of the Graduate School and Director of International Programs. She is responsible for such initiatives as the Six Nations Educational Research Project. The former Director General of Education in Singapore, Dr. Yip was the Executive Director of the Singapore Institute of Management and established the Singapore International School in Hong Kong, on whose foundation board he still serves. Among many honors, he has been awarded Singapore’s Gold Medal for Public Administration and France’s Officier dans l’Ordre des Palmes Academique.